Cheap hosting is not always what you would expect in reliability. If you are going to pay for anything, then a good host provider should provide some numbers like how much bandwidth or uptime speeds. Higher quality hosts typically provide some more services like free site transfers, technical support, and live chat. You should always look for a phone number on the website and gauge how difficult it is to get in touch because even when all things go right, something can still go wrong. Hosting providers are even ranked by how awesome they serve their customers. This guide looks at some of the hosts with the lowest rates for hosting. This guide also goes over uptime, bandwidth, customer service options, and other perks so that you can see which hosting providers are still going the extra mile despite the low price. The best web hosting offers come sites that know what their users are looking for and have reduced prices on plans that offer just basic features. Web hosts may expect a lot from their customers in terms of upfront pricing. While some hosts will offer month-to-month, others will require that you pay for 12, 24 or 36 months of hosting upfront. This guide values cost on month-to-month and from savings by purchasing upfront. If you have never built a website before and want to get started fast, Bluehost has a few different options that make sense for beginners. The website builder is very friendly with drag and drop features that claim you can create a website in less than a minute. The host also has a great uptime rating at 99.98% and page speed load times of 510 ms. One of the reasons Bluehost is so well known is because they provide hosting to a number of large websites and can handle big traffic windows. 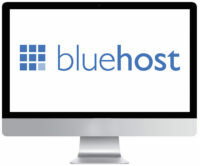 There are cheaper hosting solutions out there, but the features, bandwidth, and money-back guarantee keep customers very happy with Bluehost. Cheapest Plan: You can get a 36-month plan, but you will pay $2.95/month for the base package. 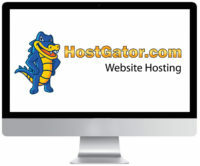 HostGator Cloud has received recognition recently for the constant quality and price. The website recently received a ton of upgrades and new hosting options, which opened it up for those who are just starting out with website hosting. In the last 12 months, the average uptime has been 99.99% for HostGator. In addition, they have an average page load time of 521 ms. Their support staff also has a response time of an average three minutes. The variety of featured packages and site-building tools are enough to put HostGator over the edge in terms of price and quality, but the uptime really speaks for itself. Customer service has received high ratings. One thing you will not find on HostGator is Windows-based VPS hosting. If you are a novice webmaster, then this may not appeal to you. For others, Rackspace will have more options for a higher price in this bracket. You should pick HostGator if you are looking for a high-quality server and willing to pay a little more per month to get the best uptime for your website. Cheapest Plan: You will pay $2.75/month with some offers for HostGator, but typically the shared hosting plan on HostGator Cloud is $13.99/month. The uptime is a good reason to choose InMotion if you want to build a website’s traffic from day one. 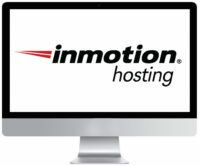 Almost all of the plans on InMotion offer unlimited bandwidth and email for a good price. InMotion also includes a money back guarantee. The website builder software is advanced and allows you to create a variety of websites. However, some of the templates are a bit dated and may need some additional development to do what you like if you plan to include an online store. If you are looking for a Windows server, you will not find it on InMotion. There are also no managed WordPress hosting servers, and you will need to create separate log-ins for additional applications that you want to add to your website. You get a lot for the price with InMotion, but you will not find the tools as advanced as other website builders there. In addition, there are many features to the hosting plans, but it does not look like customer support is one of InMotion’s strong suits. Cheapest Plan: You can expect to pay $2.95/month for a standard package with InMotion. The main benefit here is the uptime. 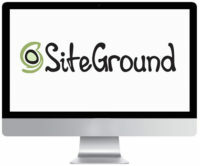 Your website will always be up with the strength of SiteGround’s servers. They even have a money-back guarantee that makes sure of this. In addition, you can integrate with CloudFlare for better performance and more security options for your website. The hosting comes with a free SSL certificate, which is included for all plans. You also get other free services like site transfers. Customers can choose server locations so you get the most bandwidth. SiteGround has also been recommended for its customer service. They have a real customer and technical support team that can answer questions, fix problems, and is generally available 24 hours a day, 7 days a week. While there is not a lot of storage offered on some of the lower cost plans, you do get a lot of free services for the price. SiteGround is a great option for shared hosting as you get a lot of services and security. However, there are no month-to-month sharing plans, which means that you have to purchase upfront. There are also no Windows server options. Want to build a site but don’t know how to go about it? Wix has a very user-friendly site builder that has won awards due to its interface and design. You can build all types of websites using this software as well, making it great for small businesses who just want to get started. There are also a lot of free features built-in, including a totally free site option that wix will host for you, as long as you allow their logo on your site. There are some templates that are older and do not use the latest mobile-friendly responsive code that other sites use today. There are also no built-in statistics so you can see how your site is performing. Wix has the easiest WYSIWYG site builder and a few hosting options, but you won’t get the strong hosting options with other providers. It is more of a site builder platform that you can use with another host if you don’t like what is available on Wix.com. 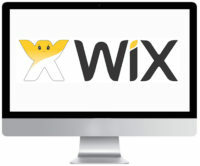 Cheapest Plan: Your website can get Wix starting from $4.00/month. DreamHost is one of the more reliable hosting providers. They also have a ton of site templates built into their interface, which means you can purchase hosting and get online rather fast. You can also find extremely nice designs for websites through DreamHost Remixer. There are some limitations to hosting. 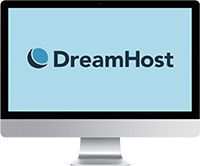 DreamHost charges a lot for private servers and dedicated servers. You also will not find any managed WordPress hosting on DreamHost. While the site builder is intuitive, it lacks in page layout customization, which makes the user have to input more content than may be necessary or look like a carbon copy of another website. DreamHost is an affordable option for those who are just getting started with website hosting and want to try a new site. You may like the site builder’s options, but it has less functionality to help you pick colors and change the format than other site builders. Cheapest Plan: You can find shared hosting plans starting from $6.95/month. If you want to build a website and do it right, then Liquid Web is the best way to get all the features you want, including security and site builders, for a great price. Virtual private servers are much better than shared hosting for building large, traffic-heavy websites. This is why a lot of medium to large businesses choose services like Liquid Web. You can find Linux and Windows-based servers with Liquid Web. The service is well known for their VPS and dedicated hosting options. You can also get prorated VPS plans and choose high-end spaces where you will have huge servers all to yourself to build as you please. The plans are a little expensive, and you do not have the option of shared hosting. In addition, you can pay upwards of $34.50/month for Managed WordPress Hosting. There are much more affordable options in this category if you plan on building with WordPress. Liquid Web is a viable option if you want your own private server that you can build from day one. It lacks shared hosting plans and the price will be costly if purchased month-to-month. Cheapest Plan: If you want the luxury option, you will pay $29.50/month for your own virtual private server. 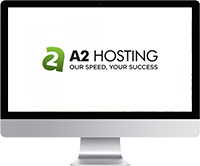 A2 knows that there are a variety of people out there who are searching for hosting packages. There are different options to choose from, but at the base price, you will pay as little as $7.99 for a shared hosting server. A2 is also well known for excellent customer service and technical support. You can reach their support team 24 hours a day, 7 days a week. A2 also has a terrific uptime score, and you can get your money back if something should happen to your website within the first 60 days. Most plans will not come with a Windows server, but you can request one if you prefer. The private server options are more expensive than other options that you can find on HostGator. While A2 is packed with features and different hosting options, their most basic plan is much higher than others that offer bulk pricing by purchasing upfront. Cheapest Plan: You can get started with A2 Web Hosting for just $7.99/month. 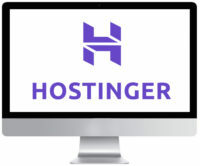 Hostinger is bargain hosting, but with a fast page load time and uptime of 99.98%, you can create a rather large website and get good service. They also provide a claim that they are the fastest web hosting company for the price. There are few different packages to choose from whether you are looking for a small shared hosting plan, or you want to get your VPS. You can find both of these on Hostinger.com, as well as cheap domain name registration. The website builder is very intuitive and mobile-friendly, allowing you to build a website in a few minutes. You should pick Hostinger if you are looking to get a cheap website in less than a minute and want to build a WordPress site. The plans come with unlimited bandwidth and the fastest hosting, as guaranteed by Hostinger’s website. Cheapest Plan: You will not pay too much with Hostinger, which charges only $2.15/month. 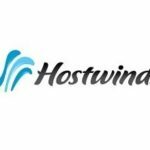 Hostwinds has gotten rave reviews about their dedicated reseller program, and they have rather cheap VPS hosting plans at $7.50/month. The company has been known to provide unlimited email and monthly data transfers as well to their customers. If you have a Minecraft server or want to create one, Hostwinds is especially equipped to help you build an amazing server with security tools and dedicated hosting plans. You will find that some plans do not have a Windows server option. The plans also do not have the best WordPress managed hosting. If you are looking for a strong website with a good page speed, this is the perfect hosting option. If you are an advanced user looking to do some interesting server options and want to work with Windows servers, this is the best option for the price. Cheapest Plan: For a shared hosting plan, you can expect to pay $4.50/month. However, their cheapest plan is for WordPress Shared Hosting at $3.50/month. HostMonster does not do month-to-month contracts. Instead, you will need to sign up for an annual plan. In that case, you do get some savings, but not the same as with GoDaddy and some of the other cheaper hosting options. 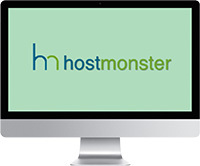 While HostMonster has good customer service rating and has partnered up with Weebly for site-building, there are still a lot of hosting options that do not require a yearly plan to purchase. There is also a lack of plans for WordPress and Windows VPS that makes one of the less friendly options if you want to start building your empire online. It has an expensive entry-level cost, and it lacks a money-back guarantee that others have offered to customers. HostMonster also has shown increasing signs of server degradation, as their uptime over the past six months has fallen quite a bit. You can find better hosting options than HostMonster, but if you like Weebly and want to create a website with their templates, this is a good all-in-one package. Cheapest Plan: You can find hosting plans for just $6.95/month. GoDaddy started its quest to be the cheapest hosting company long ago. While the company has come under fire for customer support issues and websites going down, this is a good option for people who are just starting out and want a lot of options, in terms of servers, rates, and WordPress applications. Their cheapest plan is Economy, which according to the website will provide you with one website, unmetered bandwidth, 100 GB storage, free domain with annual plan, and a free Microsoft Office 365 Business Email account. Uptime reports show that there can be dips in GoDaddy’s speed from time to time, but on average, it remains around 99% and its page speed averages out to 2.97 seconds. Customer support ratings for GoDaddy have improved since they have added multiple applications and support for WordPress. Many use GoDaddy for WordPress websites as it allows to create a website with one click. Bandwidth issues and downtime have been reported as recently as January 02, 2018 with an uptime status showing that website builder recently failed. However, there were no other incidents in the past month involving a less than 99% uptime status. Plans will look at a certain rate and start out low, but if you choose to pay monthly or do not have any coupon codes, you will end up paying more for your cheap hosting. You can always negotiate lower rates and server sharing through phone support. Hosting is a lot cheaper on GoDaddy than on other servers, but you may find yourself with a down website if you plan to generate a ton of traffic and have not purchased the right hosting plan for the bandwidth you may require. Cheapest Rate: You’ll get hosting for $1.00/month with a mutli-year upfront payment, otherwise you’ll pay $7.99/month. 1and1.com provides numerous hosting plans for just about everything you want to do online. If you want to build a personal website, you can start out with their very basic plans that include a small amount of bandwidth that you can build upon as you generate traffic. There are a number of packages to choose from including your own VPS, a shared hosting server, WordPress hosting, and dedicated server hosting. If you are willing to pay for multi-month packages upfront, then you can get an extremely low rate for all of these packages. 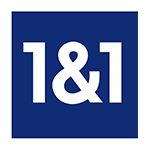 1and1.com also provides applications and website builders to help you create a website, but they are a little dated in comparison to Shopify.com and Weebly. Uptime and load time were tested using website monitoring tools over a two-week period. These revealed that 1and1.com may throttle smaller website’s bandwidth usage during the night time, which causes some issues with uptime. Customer support is very minimal for 1and1.com. While there is phone support, you may not always find yourself talking to someone who will understand the problem or be able to relay it to you well so that you can understand what is wrong. Customer reviews have shown 1and1.com needs to improve their customer support. However, this may also be why the price is so low. 1and1.com does have some of the lowest rates in the hosting industry currently, but downtime and uptime played a major role in why this host would not be a good choice for a business website. Perhaps a small blog or personal website may be able to get the most from the shared hosting. Cheapest Plan: You can find shared hosting plans from $0.99/month on 1and1.com, as well as VPS hosting from $4.99/month.